Camberley Town Youth FC made an exciting appearance in Football Focus Magazine, Issue 62 following their recent status of an FA Community Club. Not only did the club gain the highest level of FA Charter Standard by achieving community club status but also recently celebrated their 40th anniversary. 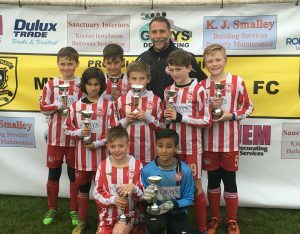 Forays Homes have been proud sponsors of the U10 Raiders and U13 Rangers for more than 7 years and continue to watch the teams’ success and growth. The club provides football for around 400 children each year while maintaining a fun and safe environment to play. The club regularly holds annual events and activities to get the community, parents and players involved. Each year the team holds a summer tournament, which attracts 160 teams and 1,000 players. 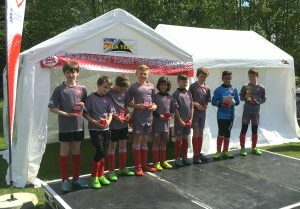 Forays Homes will continue to support Camberley Town Youth Football Club in the future, as the club is such an asset in the community teaching valuable life skills such as sportsmanship and team camaraderie. The club plans to develop the playing facilities within the local area over the next five years, which Forays Homes are happy to be a part of.